Please see Additional Info tab for important information onξCare Instructions and living in Coastal Areas. 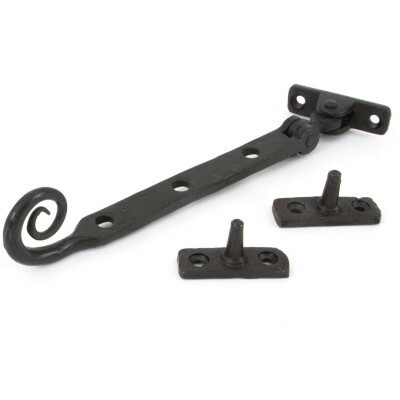 This Black Sash Hook Fastener has a stylish and neat ball knob on the top and is available in Black or Beeswax. 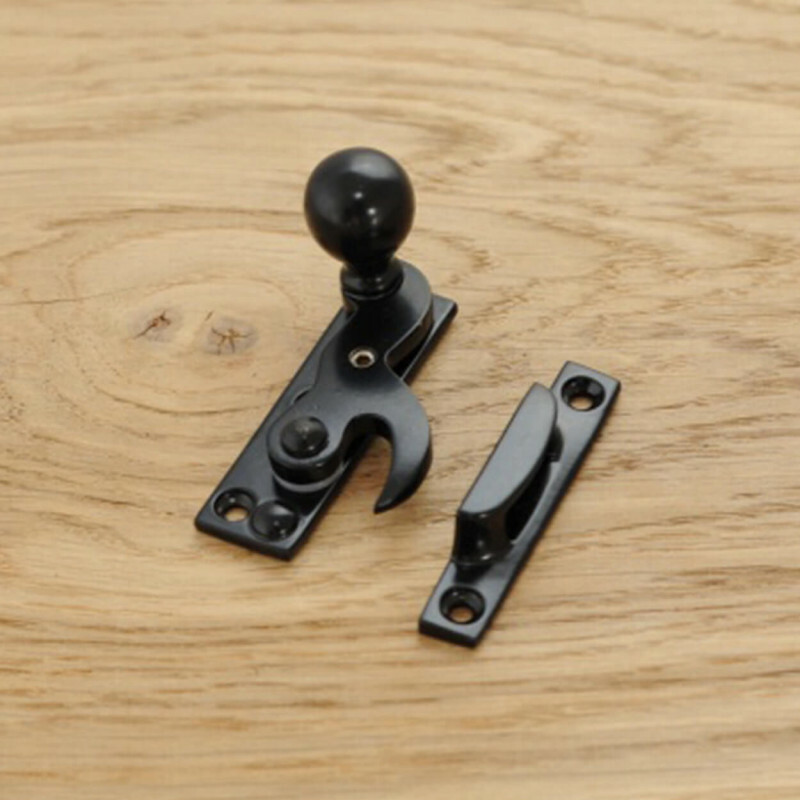 It matches perfectly with our Black Sash Lifts and Sash Pulleys.It is ideal for use on a narrow top rail due to the thin keep plate. 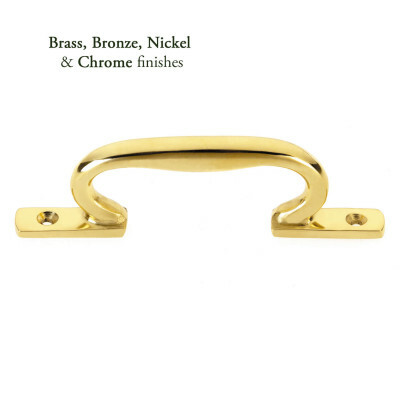 A discreet grub screw is used to lock the sash fastener in to position. 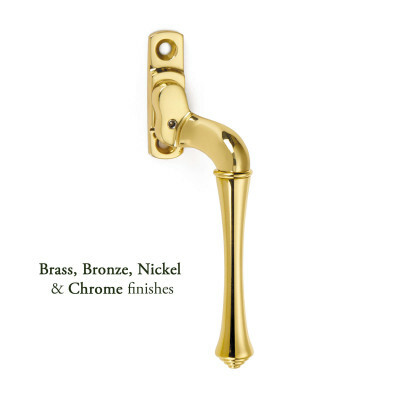 Supplied with matching fixings and a hex key. 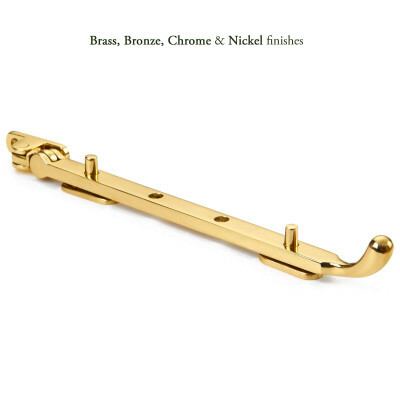 The screws supplied are hand finished, so please take care when fixing. Always use a pilot drill and rub screws with candle wax before fitting.